NEW YORK -- U.S. stocks started December stronger Tuesday as health and consumer shares bounced back while auto sales suggested upbeat growth in November. The S&P health care index jumped 1.7 percent, while the consumer discretionary index was up 1 percent, both retracing Monday's losses. UnitedHealth Group (UNH) shares rose 3.1 percent to $116.26 after its chief executive defended the company's possible withdrawal from the Obamacare health insurance exchanges. Shares of Anthem (ANTM) were up 4.2 percent at $135.82. Strong domestic auto sales in November kept the industry on pace for a record year in 2015. Shares of Ford (F) were up 1.6 percent at $14.56, though General Motors (GM) shares were up 0.2 percent at $36.26. %VIRTUAL-pullquote-We get a feeling the consumer is still there though it's not shopping brick-and-mortar as much. Cyber Monday results were certainly more positive than Black Friday results.%The S&P retail index rose 1 percent. Amazon.com (AMZN) was up 2.1 percent at $679.06. "We get a feeling the consumer is still there though it's not shopping brick-and-mortar as much. Cyber Monday results were certainly more positive than Black Friday results. 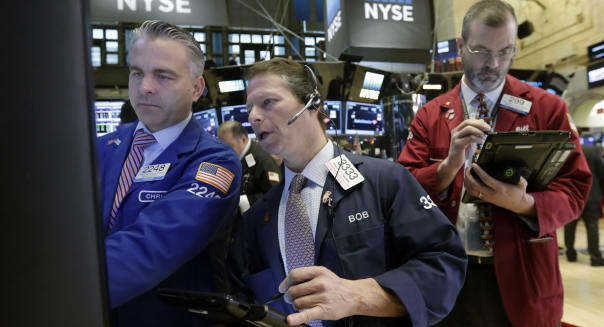 Christmas hasn't been canceled, and that's been reflected in stocks today," said Art Hogan, chief market strategist at Wunderlich Securities in New York. The Dow Jones industrial average (^DJI) rose 168.43 points, or 1 percent, to 17,888.35, the Standard & Poor's 500 index (^GSPC) gained 22.22 points, or 1.1 percent, to 2,102.63 and the Nasdaq composite (^IXIC) added 47.64 points, or 0.9 percent, to 5,156.31. Other data showed a sturdy increase in construction spending in October. Offsetting the upbeat economic news, though, was a report showing manufacturing contracted in November for the first time in three years. Investors are watching data closely ahead of next week's Federal Reserve meeting, where the central bank could decide to raise interest rates for the first time in nearly a decade. The main economic report this week will be Friday's November employment report, which is expected to show that the economy added 200,000 jobs during the month. Analysts say a strong report virtually guarantees a rate rise this month. Investors are also awaiting Thursday's European Central Bank meeting, when the bank is widely expected to ramp up its trillion-euro bond-buying program. About 6.9 billion shares changed hands on U.S. exchanges, slightly above the 6.8 billion daily average for the past 20 trading days, according to Thomson Reuters (TRI) data. -Sinead Carew contributed reporting from New York. Automatic Data Processing (ADP) releases the ADP Employment Report at 8:15 a.m. Eastern time. The Labor Department releases revised third-quarter productivity data at 8:30 a.m. The Federal Reserve releases the Beige Book survey of regional economic activity at 2 p.m.
American Eagle Outfitter (AEO) releases quarterly financial results after U.S. markets close.